TREperformance sells 255 LPH performance fuel pumps for all VW vehicles including the Santana and many others. 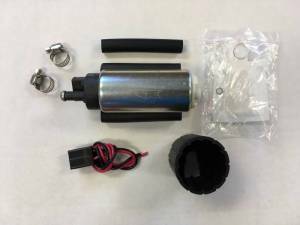 These 255LPH fuel pumps flow very similar to the high pressure Walbro pumps but they DO NOT have the loud, annoying whine of Walbro pumps, and TREperformance fuel pumps are nearly silent when the vehicle is running, similar to a stock fuel pump. We include a universal kit with every pump containing everything pictured. Remember, these are aftermarket performance pumps and there may be minor modifications required for certain vehicles to mount the pumps. Please compare and research install before purchasing. All TREperformance fuel pumps have a 1 year warranty.